Suho is a part of the architecture team that drives research and development efforts of WSO2's real-time analytics platform. His expertise is in real-time event processing and parallel computing solutions. 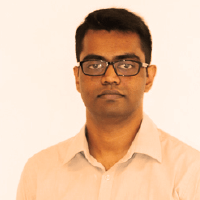 He is the co-founder of WSO2 Siddhi CEP and was previously involved in driving WSO2 Complex Event Processor (now renamed as WSO2 Stream Processor) as a product lead. He also provides technology consulting on customer engagements and does part-time lecturing, mainly focusing on the analytics technology areas.